Recess by Henri Gillet from Perkins Bacon Plates 1854 (April): 5 c. Burnt Siena, a horizontal strip of four with good even margins all round, close but clear at left and with portion of adjoining stamp below first stamp in the strip, of excellent resounding colour, used with Desmadryl 10 c. pale blue of good appearance but with 6 mm. 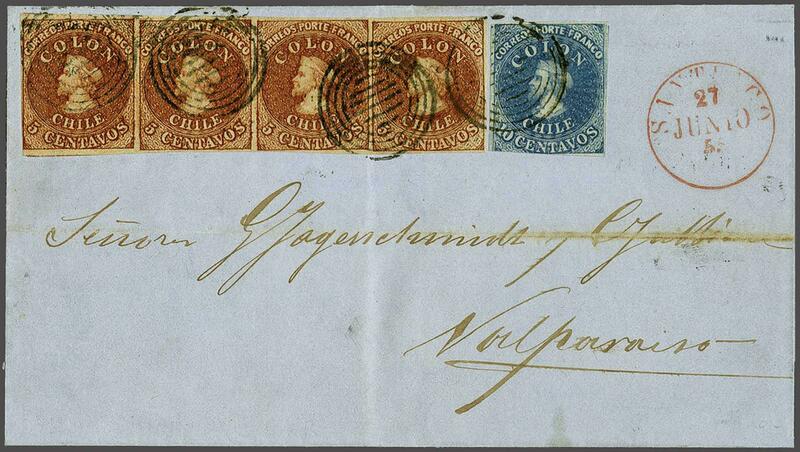 closed tear at left, on 1855 cover from Santiago to Valparaiso tied by four strikes of six barred target handstamps in black. SANTIAGO despatch cds in red at right (June 27). 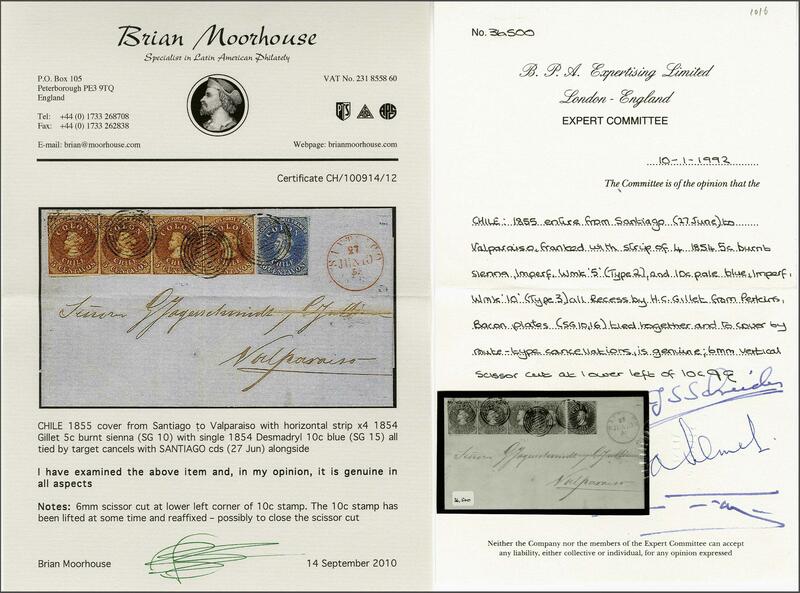 The strip crossed by light file fold and the 10 c. removed and replaced to close the tear, otherwise a superb and extremely rare cover for the specialist. Illustrated in 'Chile First Issues of Postage Stamps 1853-1867' by Gerhard Blank on colour plate 11. Certs. BPA (1992), Moorhouse (2010).rnrnProvenance: Collection Jean Dupont, Balasse, May 1981, lot 431; Collection Gerhard Blank, RL, Dec 1991, lot 1016.